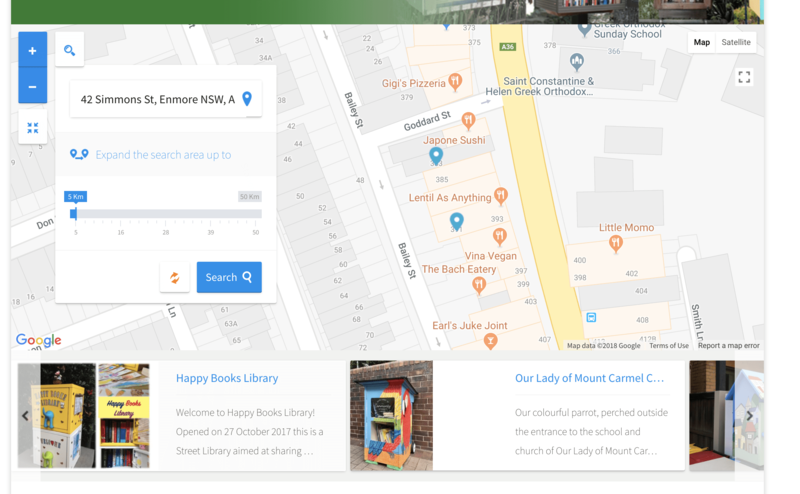 How do I search for Street Libraries by address? Step 1: Click the magnifying glass in the top left corner to open the search bar. 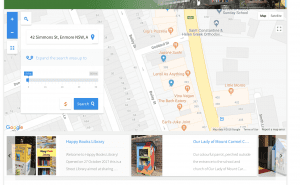 Step 2: Type the address you’re looking for in to the search bar, and click search to find all nearby street libraries. 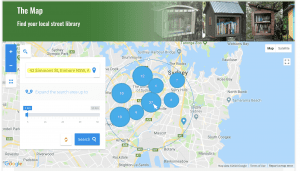 You can also set the range of your search area – so you can find all street libraries within 5km or expand your search radius out to a maximum of 50km! Step 3: Once you’ve searched an address, the map will zoom in to that general area. Once it’s done that, you just need to click on the blue circle closest to the area that you’re looking for – this will allow you to see smaller areas in more detail. Step 4: After you’ve clicked down into a specific area, you’ll be able to view the exact locations of street libraries, and even see photos of the street libraries in that area! Then you can visit them and start borrowing!